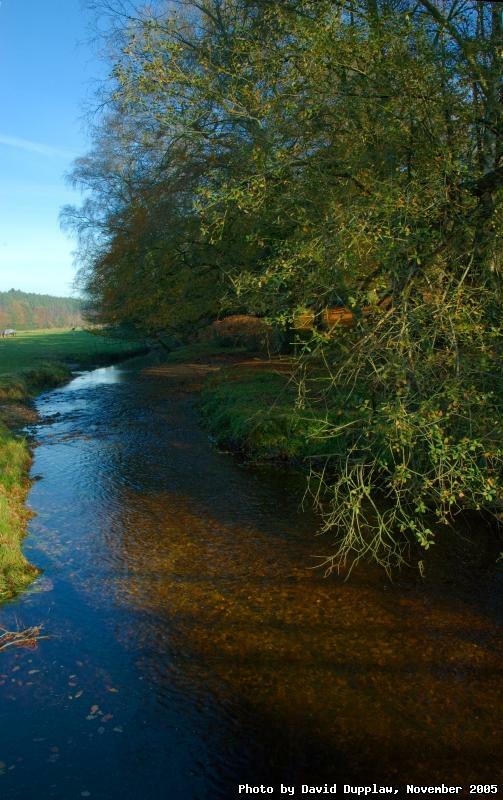 On Sunday last weekend we went out to the New Forest and between Rockford and Mockbegger there is a small ford where Dockens Water crosses the road. A footbridge to the side of the road afforded me this lovely view of the river bathed in the warm late autumn afternoon light. I took so many photos at my zoo trip last time, they have been briefly put aside so you are not all bored to tears with pictures of animals. I thought a nice landscape would fit the bill to break the series.